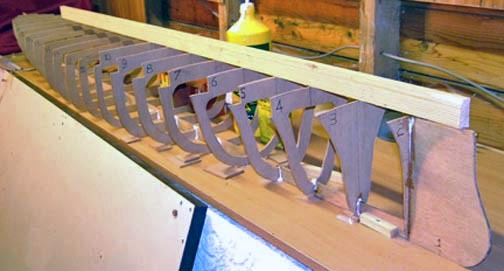 Ribs cut out from1/4 inch plywood and glued to keel. 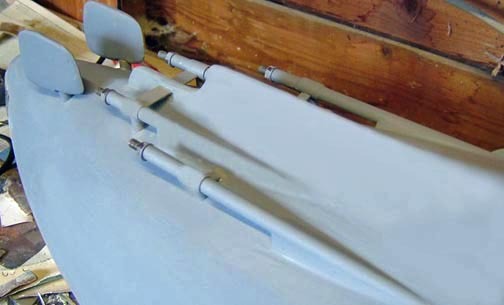 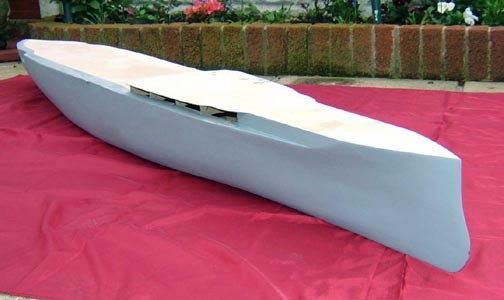 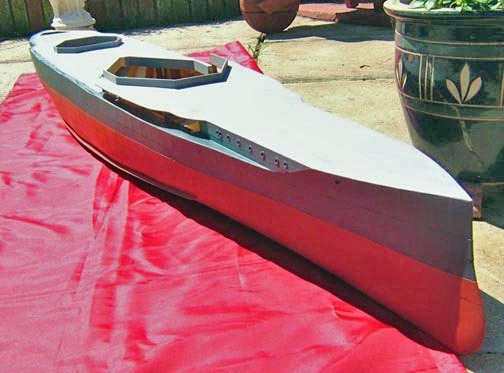 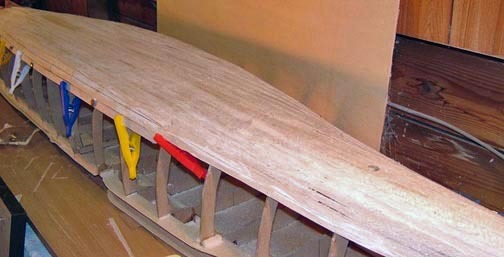 Hull planking done with 1/8 inch balsa and glued into position with water proof white glue. 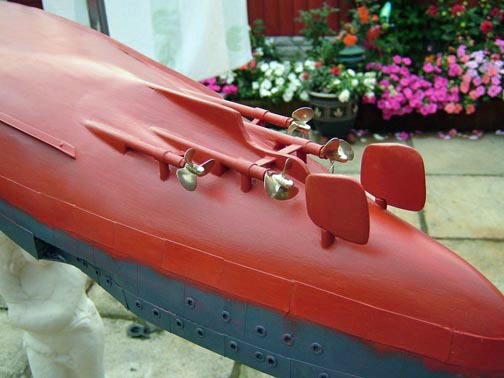 Hull with anti fouling red appied, 30mm props from PROP SHOP fitted.